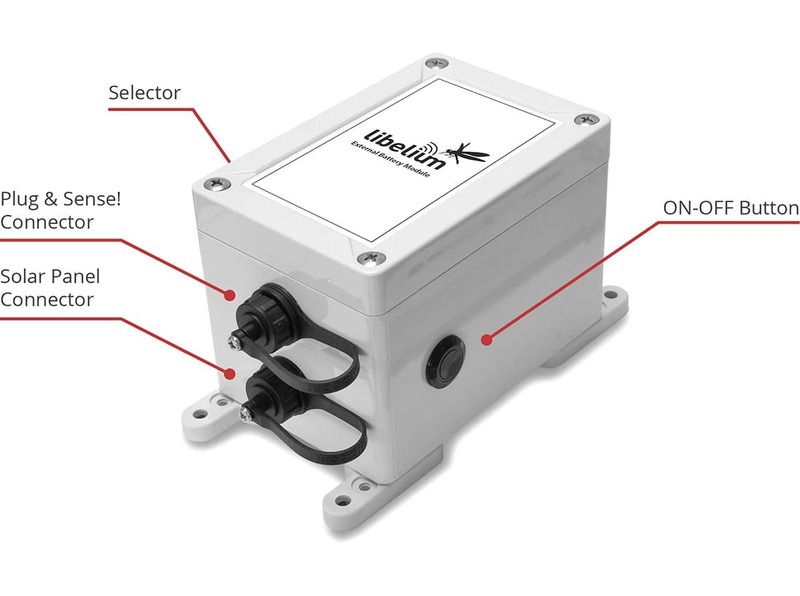 Libelium releases the External Battery Module (EBM) to extend the battery life of Plug & Sense! Libelium has created the new External Battery Module (EBM), which extends the battery lifetime of Plug & Sense! sensor nodes. The extension period may be up to 10 years depending on the sleep cycle and radio activity. The daily charging period is selectable among 5, 15 and 30 minutes with a rotative switch and it can be combined with a solar panel to extend even more the node’s battery lifetime. One of the main advantages of the EBM is that it can be used in challenging cases: typical scenarios are remote sites where a power supply is not available or places where a solar panel is not suitable, like tunnels or cloudy environments. The core of the system is a 26 A·h, high-performance, non-rechargeable battery, with low self-discharge rate. The control is done by a PCB, which sets the system in ultra low-power state most of the time. The EBM is designed to charge a Plug & Sense! node once per day during a preprogrammed period: 5, 15 or 30 minutes per day. The user has a 3-position rotative switch to choose the daily time. During that period, the node is recharged at the maximum input current (300 mA). 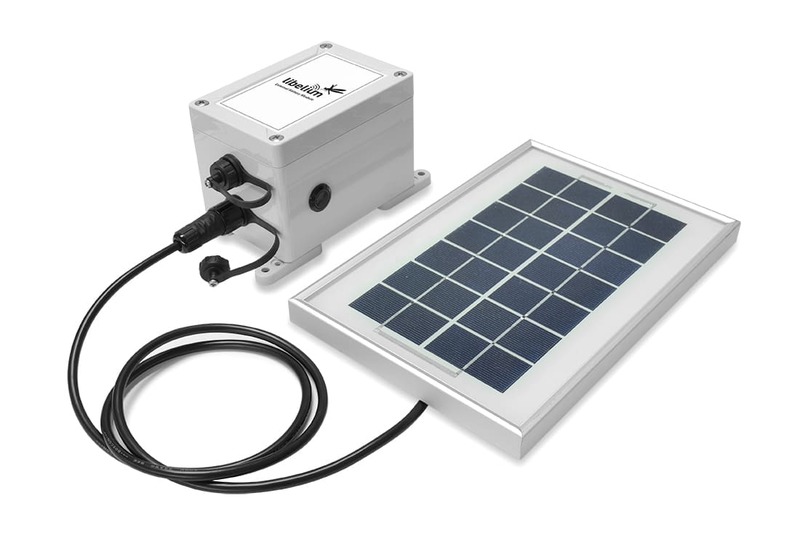 A solar panel can be attached to the solar panel connector. If the charging period occurs while the solar panel is providing energy, the EBM will only provide the necessary current to fulfill the demand of the Plug & Sense! node. 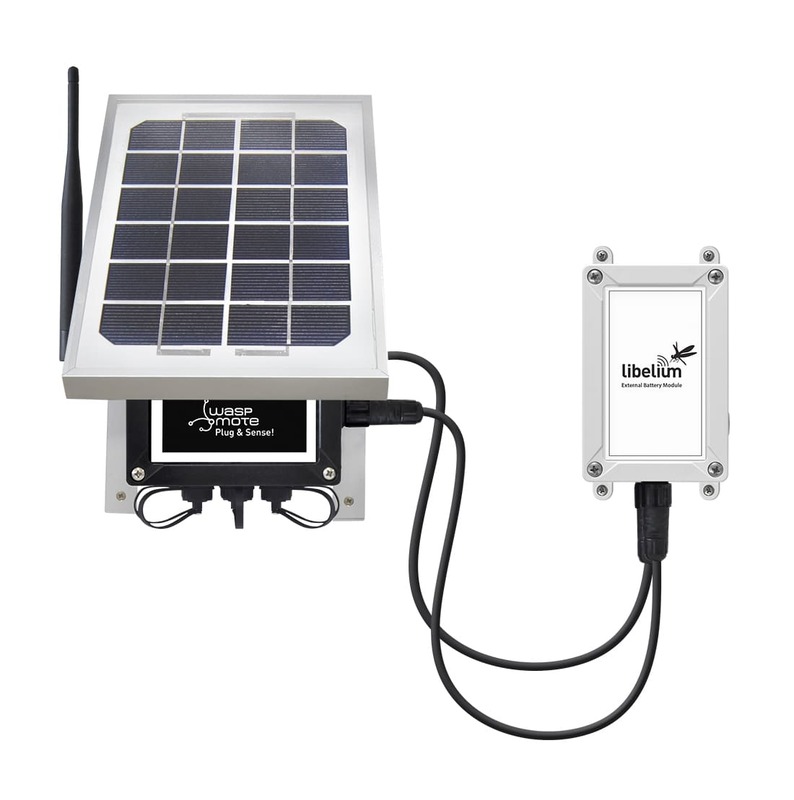 This way, the system does not waste energy from the solar panel and saves energy from the EBM’s battery. Finally, all the system is protected by an IP65 waterproof, polycarbonate enclosure. If you are interested in purchase information, please contact our Libelium Sales Department.